When making talismans, they are in the shape of patuas, awuré or guias, precision, timing and virtue mediate the process. It can of course be as simple as calling the spirit of rue for the purpose of protection and embed the talismanic object with this virtue alone, and it will have some effect. If we relate to Bruno and his discourse on the nature of magical bonds between material magica of earth and the influence of stars and spirit we will end up with a precise construct that contain as much virtue as possible. One example is the construction of a guia made for the sake of protecting the wearer from spirit intrusion. 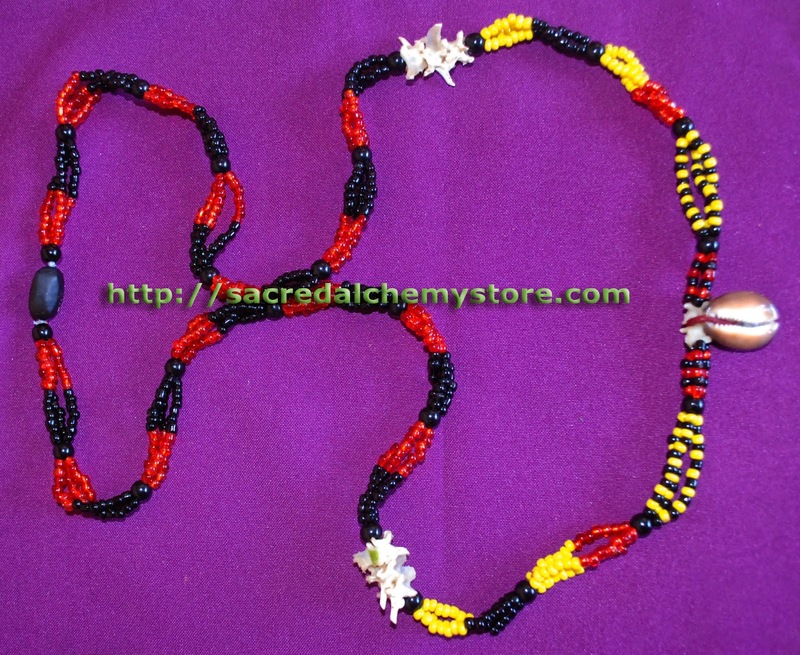 Before making such guia or talisman we need to assess the nature of the request. In this particular case it was both about the person being highly receptive to spiritual influences and had little control in keeping out spirits. It was like the spirits invited themselves in disregarding any invitation or denial to enter from the person in question. At the first point we need to contemplate what an intrusion of spirit is and what material magica can be used to bring a halt to the intrusion, something that says ‘stop’. Iron, rue and sea salt would be natural choices for the warding off itself, but in extension of the protective element a piece of mirror, for reflective purposes and red choral for its property of warning was included. The strings of the guia were made on a Thursday in the hour of Mars, calling both of these potencies with appropriate incense and fire, bringing in the influences of protection and dominion. Not only this Thursday is a day important for the aesir Thor and Scandinavian folklore often advices us not to do any work on this day, in particular nothing that involves round things. And so, we invited in a breaking of boundaries in working with rounded beads and making a necklace. This act was not done as a provocation, but as a statement to the forces of this day to respect the bond that was made, which is why snake bones were invited in as a break in the rhythm, both in capacity of its own protective virtue, but also because of the association the aesir Thor holds with snakes in the shape of Jormudngandr. 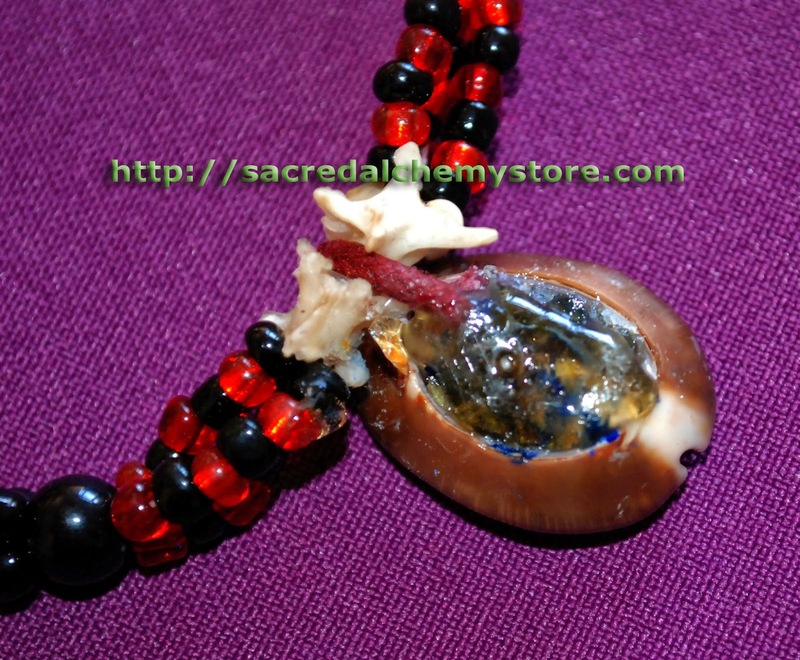 The charge was placed in a sea shell because of its capacity of securing what is held and a bell, to ward off intrusions and a silver anchor was added and the sealed with Breu Branco (Protium heptaphyllum), a resin that holds powers of exorcism and healing. The talisman was then placed overnight in the Igba Oya (the shrine of orisa Oya) to benefit from these potencies of a warioress that sets boundaries. Another case is a talisman/guia for health and protection where Tuesday and Moon hour was elected for stringing the beads. Certainly, choosing Moon can be risky, as her waxing and waning phases do have an effect on health. We choose however St. Johns day in a waning Moon, three days prior to her blackness. For protection and healing we worked with the spirit of lavender, classic repellent of poison and enemies along with rue and the magical powder called waji. Waji is a blue pigment, but it carries the virtue of fire and strength, being a good choice for inviting strength of health into the combination of material magica expelling poison and casting off poisonous animals. 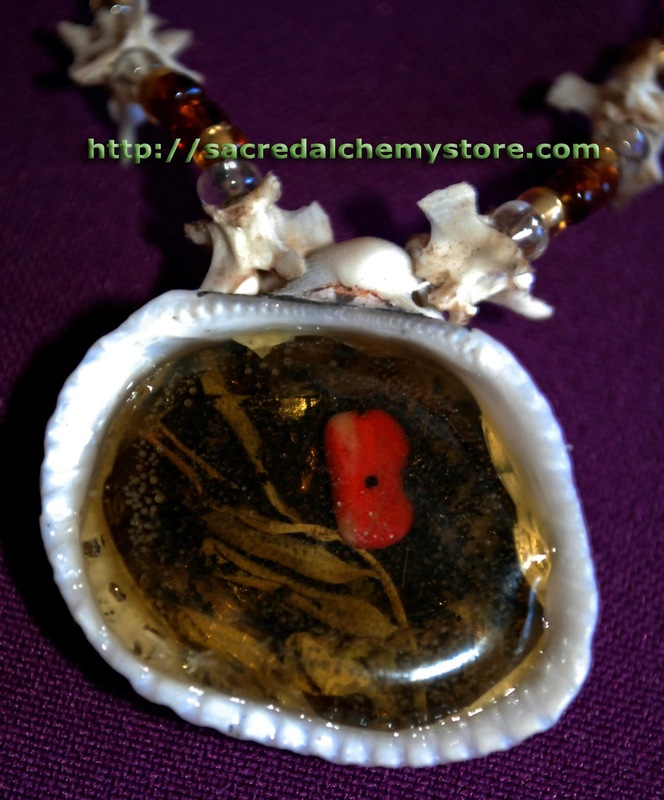 The charge was gathered in a snake head cowry given its association with protection and firmness and sealed with Breu branco and then consecrated at the feet of Exu Omolu, lord of sickness and dominion, in whose honour the yellow beads were also added. In this way the power of all kingdoms, celestial, vegetal, mineral and animal were combined to embed in the talismanic guia as much virtue from all realms possible to give. 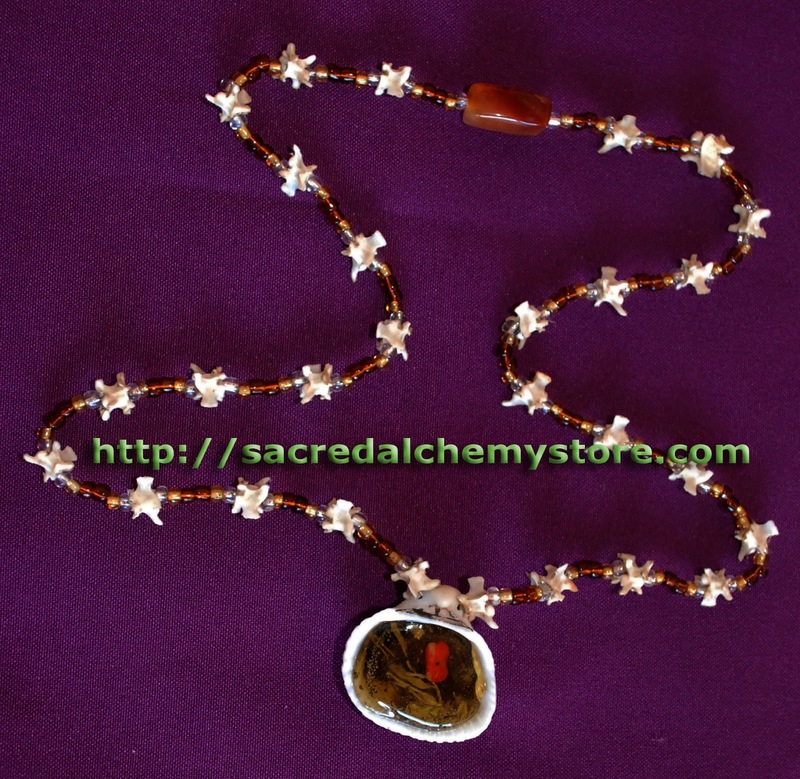 For seeing the full range of our products, visit Sacred Alchemy Store with a click.